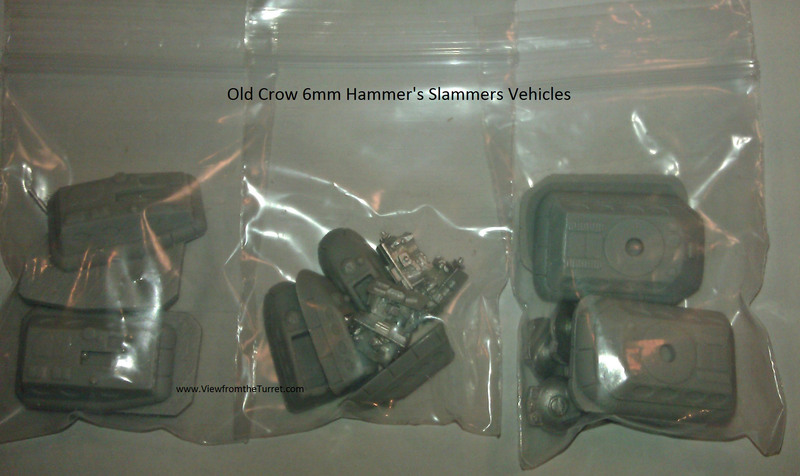 We recently picked up some Old Crow 6mm Hammer’s Slammers vehicles and Plasmablast 6mm vehicles. Both lines are very nice and a great addition to any 6mm sci-fi force. As you can see from the photos the models scale well with other 6mm vehicles. The design of the hover models does make them appear a bit large because the hover skirt (plenum chamber) sticks out all around the vehicle but if you look at just the actual body of the vehicle you will see it fits right in with the others. In general a lot of the GZG stuff is a tad small and the GW Epic stuff is a tad large. We also couldn’t help ourselves from grabbing a few of the Old Crow naval minis. These are also extremely well done resin casts and are quite large. 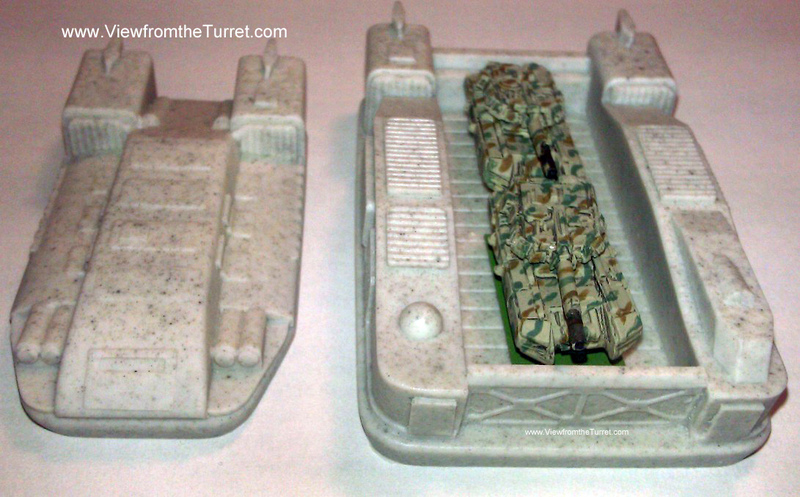 As you can see the Hover Landing Craft can easily carry one or more 6mm vehicles. Now we just need to think up a good scenario for them. The Plasmablast models are all metal castings and are also extremely well cast. Only the smallest amount of cleanup is needed. Plasmablast has the Progenitor tracked line and the Orbital Combine grav line of models. Both are nice looking, unique, and quite complete lines of units. As you can see in the photos the Orbital Combine medium grav tank fits in well with the other figures and the heavy grav tank fits even better. Both companies responded quickly to our order and everything was well packed. If you are looking for some good rules for 6mm sci-fi look no further than Strike Legion and Gruntz. Both are outstanding sets of rules. 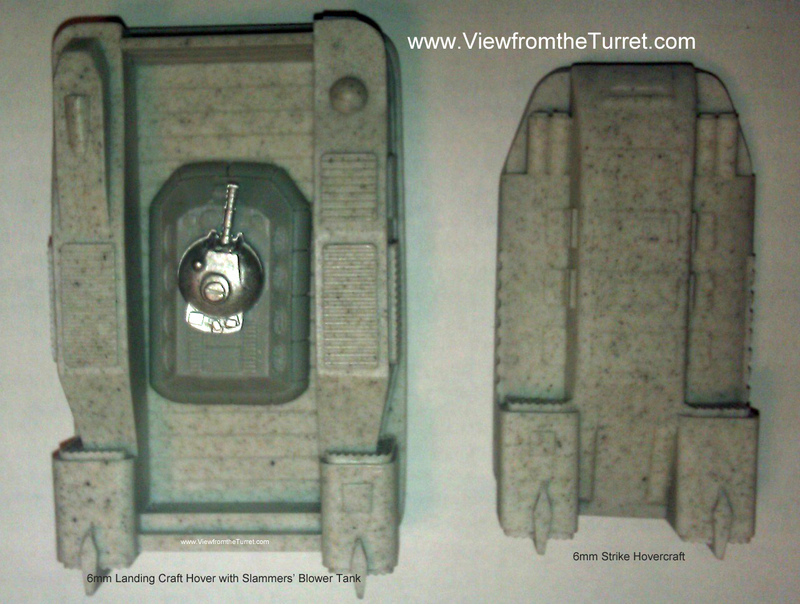 This entry was posted in 6mm, Miniature Wargames, Reviews, Sci-Fi.